We are able to provide ultra competitive, affordable pricing on all our packages. 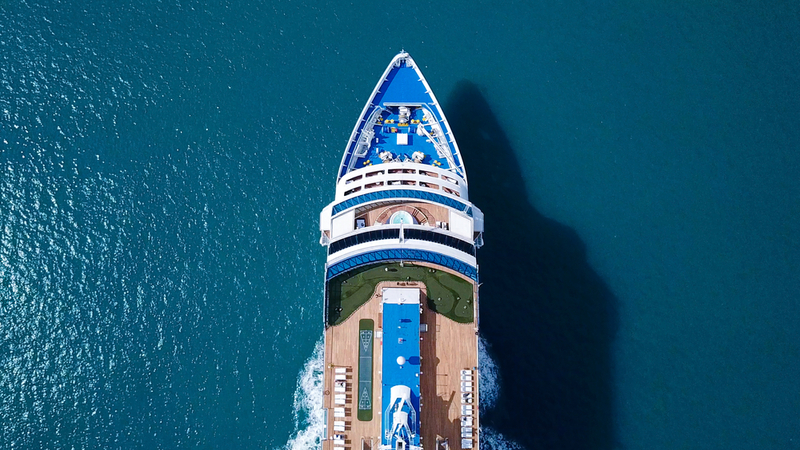 Our longstanding relationships with the major cruise lines, hotels and tour operators allows us to purchase great cruise and hotel pricing to pass on to our customers. Our extensive global travel experience gives us the knowledge to create wonderful travel experiences for our customers. We like to keep our finger on the pulse and design packages to places of interest and new, emerging, fascinating destinations. We have Value Holidays Packages to Mauritius & Seychelles, Africa, Asia, the Mediterranean, Canada & the USA, Iceland & Greenland, Cuba, St Petersburg & the Middle East. 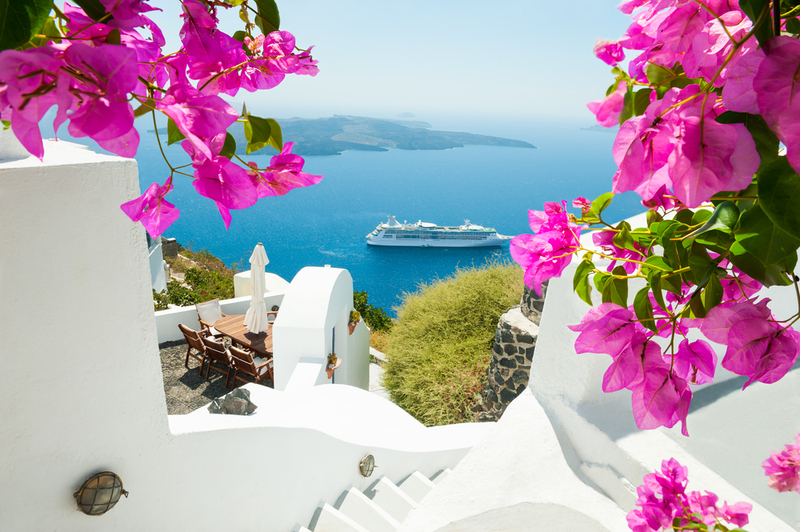 Cruise Offers Value Holidays represent amazing value. We have taken care of everything, designed fantastic itineraries to the world’s most fascinating destinations. We partner with the world’s leading Cruise lines and Airlines including Qantas, Cathay Pacific, Singapore Airlines, Royal Caribbean, Holland America, MSC & Cunard. Check out all our Value Holidays online where you can book 24/7. Gone are the days a family of 2 adults and 2 children is the norm. Hands up who has tried to organise a family holiday? Hands up who gets frustrated with the assumption a family stops at a total of 4 people? Hands up who doesn’t want to squeeze 4 people into a small stateroom? Hands up who wants some privacy on holiday? Well, it is time to cruise into cruising. Cruise lines have seen the growing trend of families with more than two children, blended families, multi generations traveling together and parents who would like their kids close, just not too close! What have they done you ask? 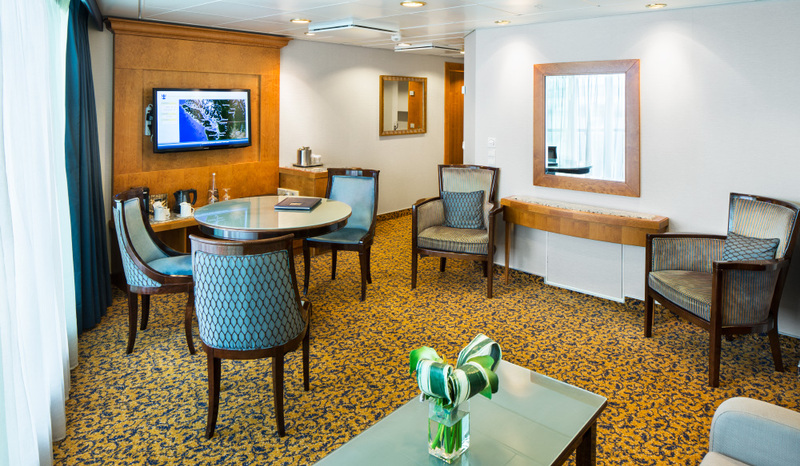 They have created a number of stateroom options to suit our ever-changing society. Today we are going to focus on Royal Caribbean. 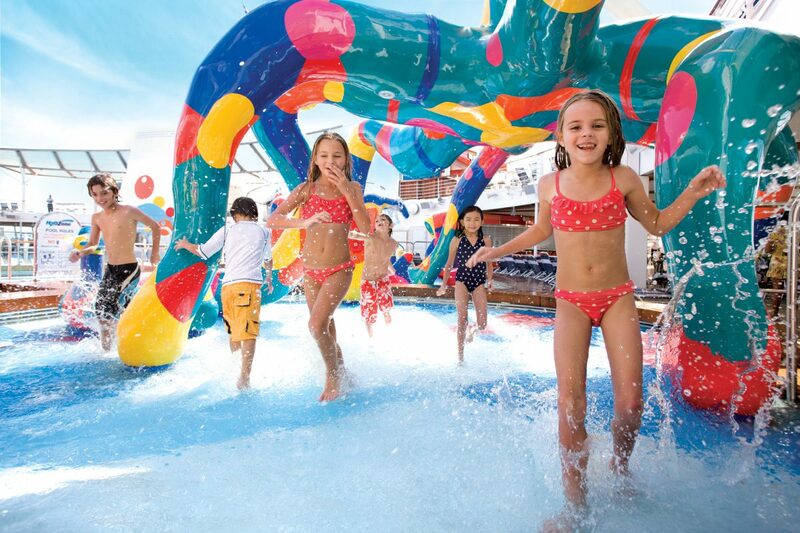 Based in our waters over the peak family holiday season (OCT-APR), they have great options for all families. As there are limited numbers of these staterooms, we recommend you book ahead to secure your place. So, let’s take a look at what they have to offer! These ships have a multitude of stateroom options. Highlighted below are the larger of the stateroom categories and those accommodating more than 4 guests in one stateroom. Junior Suite – Stateroom: 267 sq. ft. Balcony: 81 sq. ft. Bedroom area with two twin beds that convert to Royal King. Full bathroom with tub. Sitting area with sofa that converts to double bed. Private balcony. Sleeps up to 4 guests plus infant in crib. Junior Suite with Large Balcony – Stateroom: 276 sq. ft. Balcony: 161 sq. ft. Bedroom area with two twin beds that convert to Royal King. Full bathroom with tub. Sitting area with sofa that converts to double bed. Private balcony. Grand Suite 1 Bedroom – Stateroom: 351 sq. ft. Balcony: 109 sq. ft. Bedroom area with two twin beds that convert to Royal King. Full bathroom with tub, two sinks and second entrance that opens to living room. Living room with sofa that converts to double bed, entertainment centre, and writing desk. Private balcony with seating area and private dining. Grand Suite with Large Balcony – Stateroom: 351 sq. ft. Balcony: 259 sq. ft. Bedroom area with two twin beds that convert to Royal King. Full bathroom with tub, two sinks and second entrance that opens to living room. Living room with sofa that converts to double bed, entertainment centre, and writing desk. Wrap around private balcony with seating area and private dining. Grand Suite 2 Bedrooms – Stateroom: 543 sq.ft. Balcony: 259 sq.ft. Two bedrooms, two bathrooms. Master bedroom with two twin beds that convert to a king, private bathroom with tub and separate dressing area. Second bedroom with two twin beds that convert to a king and two Pullman beds. Full second bathroom with shower. Living area with sofa that converts to a double bed. Marble entry and entertainment centre. Wrap around private balcony with seating area and private outdoor dining. Sleeps up to 8 guests. Owner’s Suite – Stateroom: 541 sq. ft. Balcony: 259 sq. ft. 1 Bedroom, bedroom area with two twin beds that convert to Royal King. Full bathroom with tub and two sinks. Separate half bath. Marble entry, large closets, living area with dining table and sofa that converts to double bed. Private balcony with seating area and private outdoor dining. 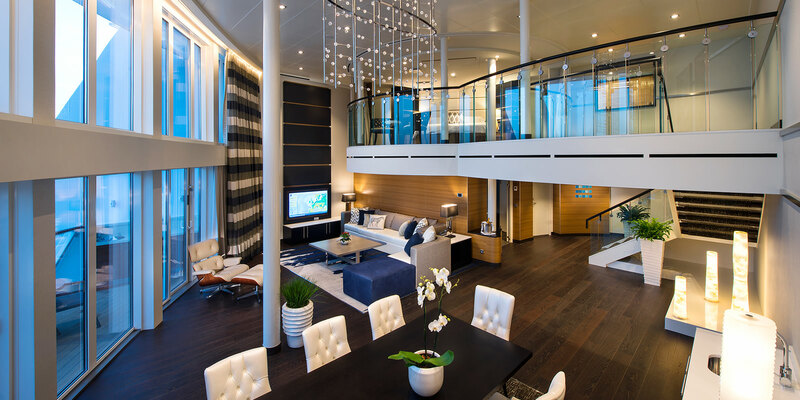 Sky Loft Suite – Stateroom: 673 sq. ft. Balcony: 183 sq. ft.
Two decks high with panoramic views. One bedroom, two bathrooms. On main level, open living/dining room with sofa that converts to double bed. Full bathroom with shower. Private balcony with dining area. On second level, master bedroom has a King size bed with Duxiana Mattress and a bathroom with shower and two sinks. Owner’s Loft Suite – Stateroom: 975 sq. ft. Balcony 501 sq. ft.
Two decks high with panoramic views. One bedroom, two bathrooms. Main level has open living/dining room with double sofa bed, bathroom and private wrap around balcony with dining area. On second level, master bedroom has a King size bed with Duxiana Mattress, bathroom with shower and two sinks, and private balcony. Grand Loft Suite – Stateroom: 696 sq. ft. Balcony: 216 sq. ft.
Two decks high with panoramic views. One bedroom, two bathrooms. Main level has open living/dining room with double sofa bed, bathroom and private balcony with dining area. On second level, master bedroom has a King size bed with Duxiana Mattress and bathroom. Royal Loft Suite – Stateroom: 1,640 sq.ft. Balcony: 553 sq.ft. Two decks high with panoramic views. One bedroom, two bathrooms. Main level open living/dining room with dry bar and sofa that converts to double bed. Separate media room with queen-size sofa bed, second bedroom with closet and two twin beds that convert to king and full bathroom with shower. Large private balcony with dining area. Master bedroom on second level has king-size bed and a private bathroom with soaking tub, shower, two sinks and bidet. Private balcony with whirlpool tub. Studio Interior – Stateroom: 101 sq. ft.
Full size bed and full bathroom. Enjoy Virtual Views of real-time scenery via your flat-screen television. Single occupancy stateroom, no single supplement required. Studio Ocean View Balcony – Stateroom: 119 sq. ft. Balcony: 55 sq. ft.
full size bed, full bathroom and private balcony. Single occupancy stateroom, no single supplement required. Ultra-Spacious Ocean View – Stateroom 262 sq.ft. Two twin beds that convert to king, two Pullman beds in separate area, separate sitting area with sofa bed and bathroom. 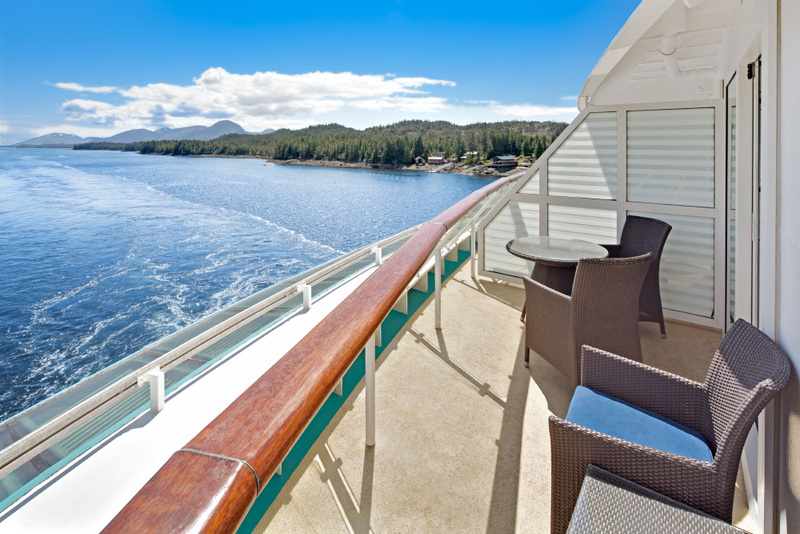 Ocean View Panoramic – Stateroom 406 sq.ft. Two twin beds that convert to king. Curtained section with bunk beds. Living area with double sofa bed, vanity and sitting area. One and a half baths with shower. Junior Suite – Stateroom 264 sq.ft. Balcony 75 sq.ft. Two twin beds that convert to king-size bed, private balcony, sitting area with sofa and bathroom with tub. Sleeps up to 4 guests plus infant in crib (selected staterooms). Grand Suite 1 Bedroom – Stateroom: 349 sq. ft. Balcony: 95 sq. ft.
Marble entry. Room has two twin beds that convert to Royal King, private balcony, sitting area with double sofa bed and bathroom with tub. Two bedrooms with twin beds that convert to king-size bed (one room with third and fourth Pullman beds), two bathrooms (one with tub) and living area with double sofa bed. Sleeps up to 8 guests. Owner’s Suite – Stateroom: 559 sq. ft. Balcony 64 sq.ft. 1 Bedroom with queen-size bed, bathroom with tub. Separate living area with a queen-size sofa bed. Royal Suite with Balcony – Stateroom: 1,087 sq. ft. Balcony 196 sq. ft. Junior Suite – Stateroom: 299 sq. ft. Balcony: 66 sq. ft.
Two twin beds which can convert to king, private balcony, sitting area with sofa bed and private bathroom with tub. Sleeps up to 4 guests plus infant in crib (selected staterooms). Grand Suite – Stateroom: 385 sq. ft. Balcony: 106 sq. ft.
1 Bedroom with two twin beds which can convert to king, private balcony, sitting area with double sofa bed. Bathroom with tub and double sink. Sleeps up to 4 guests plus infant in crib (selected staterooms). Owner’s Suite – Stateroom: 512 sq. ft. Balcony: 57 sq. ft.
1 Bedroom with queen-size bed, bathroom with whirlpool tub, double sink and bidet. Separate living area with a double sofa bed. Sleeps up to 4 guests plus infant in crib (selected staterooms). Royal Suite with Balcony – Stateroom: 1,001 sq. ft. Balcony: 172 sq. ft. Bedroom with king-size bed, and private bathroom with tub, double sink and bidet. Private balcony, living room with queen-size sofa bed and baby grand piano. Sleeps up to 4 guests plus infant in crib (selected staterooms). Owner’s Suite 2 Bedroom – Stateroom: 584 sq. ft. Balcony: 151 sq. ft.
Two bedrooms with two twin beds that convert to king (one room with up to 4 Pullman beds), two bathrooms (one with shower, one with bathtub), living area with double sofa bed, private balcony. Sleeps up to 8 guests. 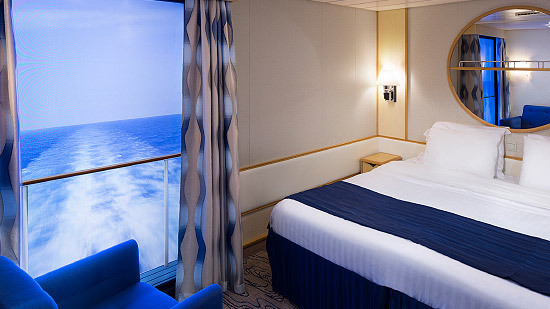 In addition to Ovation of the Sea’s Family Interconnecting, Royal Caribbean has a number of staterooms which interconnect. This is a very cost effective way to keep your family close, with privacy. The added bonus is each stateroom can be sold individually, every stateroom has a bathroom. Having multiple bathrooms on a cruise ship comes in very handy. Hopefully this helps explain the multitude of options on offer. For more clarification please contact us. 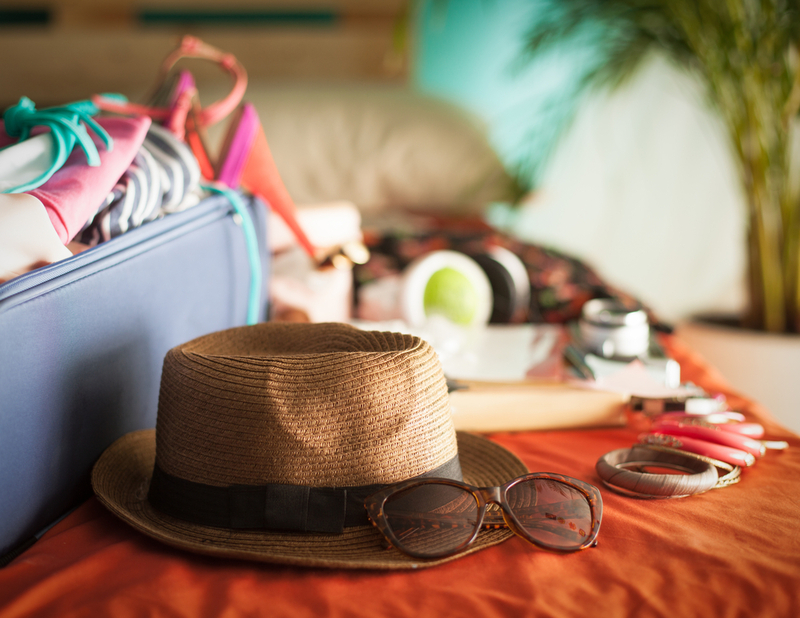 What to pack for your Cruise! Packing your case can be a daunting prospect. How do you know how much, or how little, to take on your cruise? The image which runs through my head before any trip is of Edina Monsoon from Absolutely Fabulous. Arms flying about, running around, yelling, “TICKETS, MONEY, PASSPORT, TICKETS, MONEY, PASSPORT! Thinking that drinks on board the ship are too expensive and you want to save some money by taking your own drinks on board. 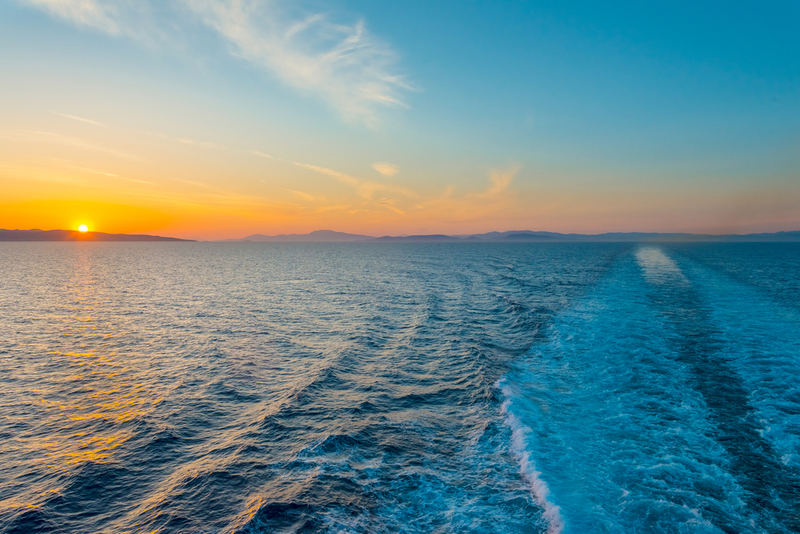 We have compiled a list of what you are able to take on board your cruise. Let’s face it the cruise lines do not want you to take alcohol on board as it will limit their profits. Most do however allow you to take a bottle of two when embarking for the first time on your cruise. Royal Caribbean Cruise Lines, Celebrity Cruise Lines, Princess Cruise Lines, Holland America Cruise Lines and Cunard Cruise Lines. These drinks can be consumed in your room, on your balcony, or on a deck outside of the bars and restaurants. However, if you choose to consume the alcohol in a restaurant, or bar on board, a corkage fee will be charged. The fee is approximately $10 to $25 per bottle. 12 x 600ml bottles or cans of soft drink/water. These must be loose and in your luggage and sealed cans or bottles. As the rules differ from cruise line to cruise line it is best to check with us before you go. There is no real need to take water on board the ship, water stations can be found inside and out on deck. If you want to take water on shore with you, we recommend packing your own water bottle and filling it on board. This is a far better solution for the environment, who wants more than 2000 plastic water bottles left behind on land around the world each day. Family holidays are no longer driving long distances with kids in the back of the car infuriatingly asking, “Are we there yet? Are we there yet? Are we there yet? The idea of paying someone for the service we expect is foreign to Australians. This practice is very common and expected in most parts of the world. 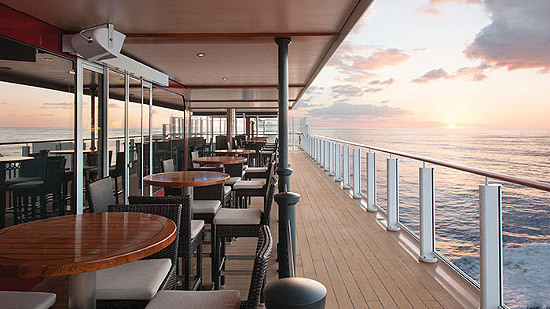 Cruises are no exception; crew members expect a gratuity payment for their service. The reason for this expectation is they are paid a minimal monthly wage from the cruise line. Some crew work more than 10hours each day of your cruise to ensure that it is an extraordinary experience for you. As someone who has worked on a cruise line I would not have survived, or even worked, without a gratuity income. My wage from the cruise line was $500 per month for working 6 days a week and up to 12hours a day. Don’t get me wrong it was a wonderful experience, but I would not work for 72 hours a week for a weekly pay of $125 (which is about $1.75 an hour.) How many of us would? So why should we as Australians pay gratuities on a cruise? This is to ensure the crew members are financially rewarded for the amazing cruise experience they provide. If no one paid gratuities, the cruise line would find it difficult to entice the best crew members to work on ships visiting Australia. Crew members will take contracts on ships where they can receive an income based on the service they provide. Lack of quality crew members became an issue for the cruise lines prior to gratuities being incorporated in the cruise fare. To keep cruising an affordable holiday option for most Australians. Without this affordability the cruise market in Australia would reduce, and Australians would not have the choice of cruise line and ships that currently visit our waters. A thriving market has meant that the Australian cruising public are enjoying new ships visiting our waters, ships such as the Majestic Princess, Ovation of the Seas and the Viking Sun. Royal Caribbean, Celebrity, Azamara, Silverseas, Seabourn, Carnival Australia and P&O Australia are just a few cruise lines who include gratuities in your fare. Everyone is a winner! The crew are happy, which filters to a better experience for you, the guest. It also ensures you do not have to worry about tipping. Let’s be honest, it is not in our culture and we can find it daunting. Princess Cruise Lines has the gratuities included in the fare if the cruise starts and ends in Australian ports. When you ask your cabin steward to deliver breakfast to your cabin, or bring you a second helping of your favourite desert, think to yourself, would I do that for $1.75 an hour? You may be able to find a low price for your cruise by purchasing through a non-Australian website; however you will be charged gratuities on board the ship. The standard gratuity is from US$13.00pp per day. You will need to factor this in when looking for that extra low price on a foreign cruise website. Are you really getting a good deal from these websites? When you are comparing price, also check your vulnerability. Are you covered for insolvency when booking on a foreign website? If they are not an AFTA or ATAS Australian Accredited Agent, how safe is your money? 1. 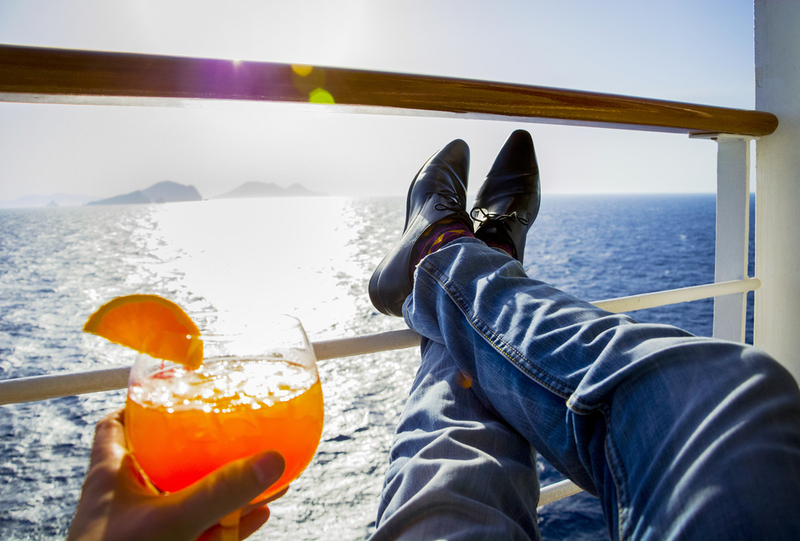 Which cruise lines have drinks packages? 2. And, are these drinks packages really worth the money? When we talk drink packages we are talking here about the alcohol packages, because what is a cruise for, if not sitting back and enjoying a cocktail or two as the world sails by. Here we are going to discuss the four most common cruise lines in Australia; P&O, Royal Caribbean, Carnival and Princess Cruise Lines. Buy a Drinks Package – Yes or No? The approximate cost of the package for each cruise line is below. The price is per person for each day of your cruise. The package allows for unlimited (*Subject to the responsible service of alcohol) drinks for any drink of $14 or less including gratuities. This means you would need to drink at a minimum of 5 drinks per day for each day of the cruise. Most cruises include days ashore in port. So you need to ask am I going to drink about 5 drinks each day including port days? 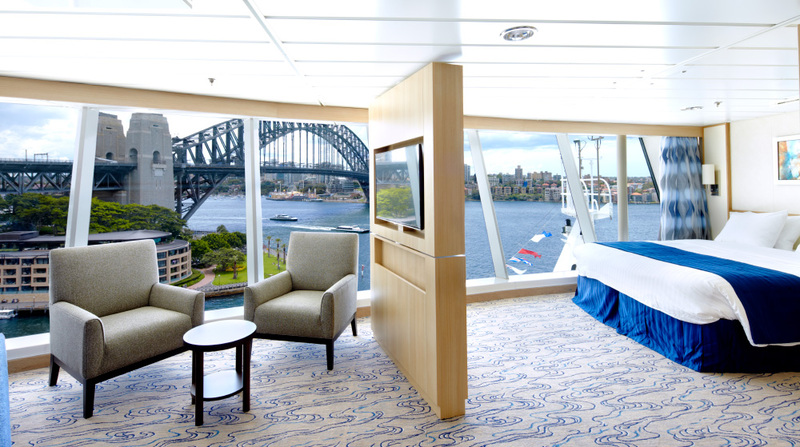 P&O Australia – Included in the Value Plus Fare or for sale via Cruise Personaliser on cruises 7 nights or longer. 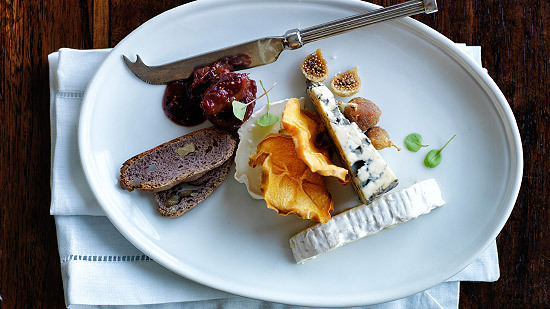 The drinks package is approximately $69 per person per day. Carnival Cruise Lines – No drinks packages available for purchase. Royal Caribbean Cruise Lines – Purchased via Cruise Personaliser prior to cruise in Australian dollars or on board in US dollars. The costs is somewhere between $60AUD-$90AUD per person per day approximately. Princess Cruise Lines – In the process of changing their process. They can be purchased via the Cruise Personaliser for $87AUD per person per day on cruises of 7 nights duration or longer. Each cruise line has their own set of rules and offers around drink packages, hopefully this has helped clear some of the confusion. Royal Caribbean’s Harmony of the Seas is the world’s largest Cruise Ship! Here is footage of her departure from her homeport Port Everglades in Fort Lauderdale, Florida. The below infographic displays the amazing size and capacity of this ship! 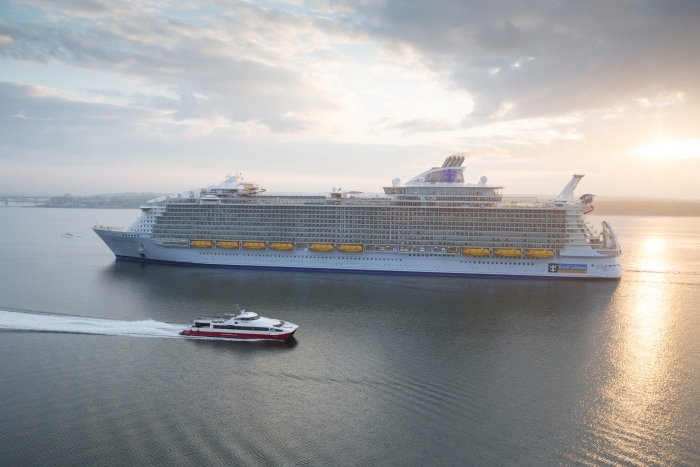 Harmony of the Seas is abuzz with excitement as Royal Caribbean takes delivery of the 25th ship in its fleet. The world’s largest and most innovative ship is the new home to 2,100 crew from 77 nationalities after 32 months of construction in Saint Nazaire, France. Harmony of the Seas is the world’s largest cruise ship with a bold and unexpected lineup of experiences found nowhere else on land or sea. 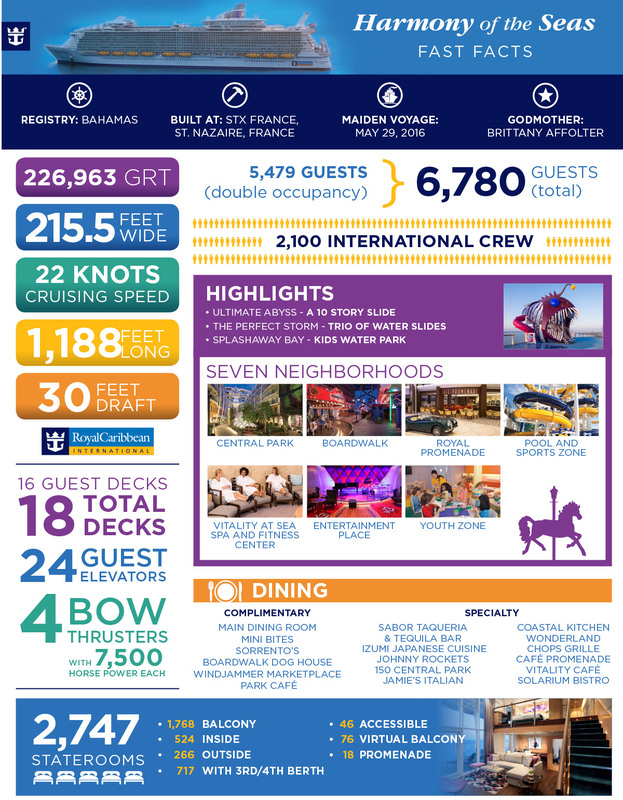 An architectural marvel, Harmony of the Seas combines the distinct seven neighborhood concept that Royal Caribbean’s Oasis class of ships are known for with some of the most modern and groundbreaking amenities. 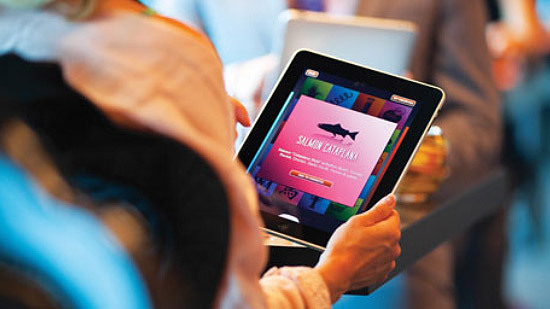 Innovative features include The Ultimate Abyss, a thrilling slide 10 stories high – the tallest at sea, robot bartenders, virtual balconies with real-time views of the destination for interior rooms, and VOOM – the fastest internet at sea – so that guests can stay connected, stream their favorite entertainment and share their adventures. 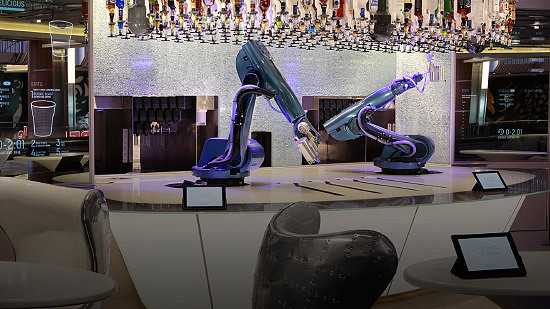 From the bionic bartenders to bumper cars at sea, cruise ship innovations have reached new heights. These are our favourites that will be making waves in 2016. At 60 feet long and hovering 128 feet above the ocean, the Princess SeaWalk offers an exciting experience for both kids and adults. 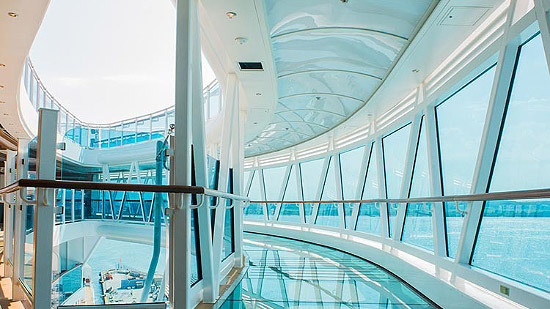 Featuring a dramatic glass-bottomed walkway, the SeaWalk provides passengers with unparalleled views of the sea below. 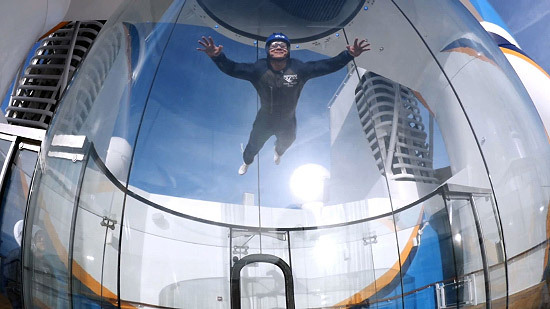 RipCord by iFLY is the first ever skydiving simulator at sea. Discover the thrill of skydiving in a completely safe and controlled environment without ever leaving the deck. 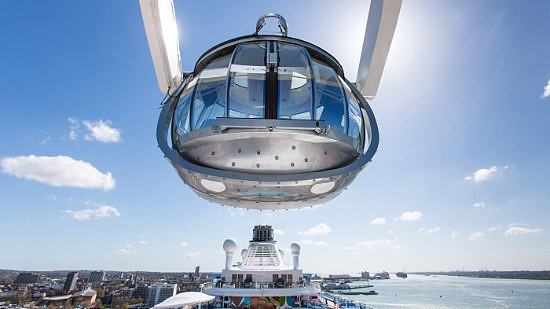 A jewel-like observation capsule the offers guests the ability to see the world from a breathtaking 90 metres above sea-level. This innovation will provide unprecedented 360-degree breathtaking views never before seen at sea. 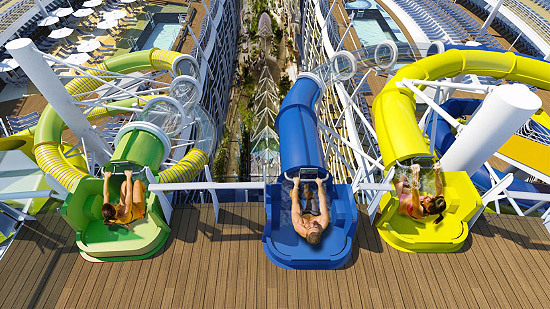 At 10 stories high, Harmony of the Seas’ Ultimate Abyss is not only the tallest slide at sea but also an amazing engineering feat. The new mega ship will be arriving in Europe in May 2016. 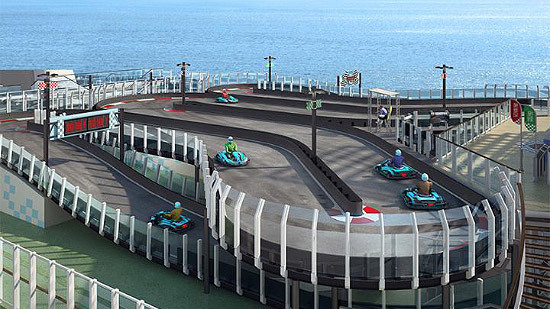 A two-level floating race track on new Norwegian Cruise Lines ship. 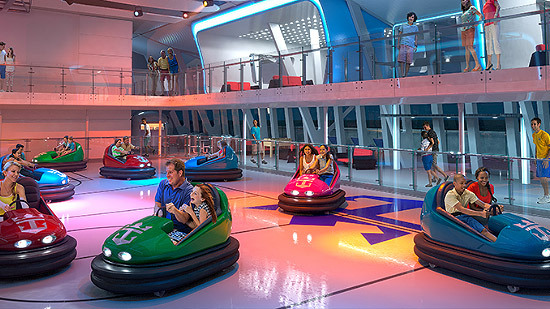 Its next luxury ship will include the world’s first two-level floating race track. The ship will travel a China-based route that sails from Beijing and Shanghai. launching in 2017. Cruise Offers Blog , Proudly powered by WordPress.